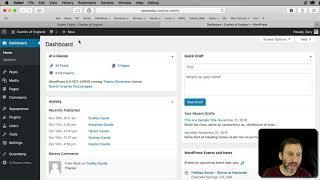 WP Tips and Hacks – Page 9 – Take control of your WordPress site with simple coding hacks and video tutorial tips. Now that WordPress 5.0 is out, lots of people are scrambling to catch up and learn how to use the new Block Editor. I decided to make a short course to get people up to speed. Here’s a coupon code to get the course for absolutely FREE. Tip: Updating Failed Errors? One Possible Fix. There are a few reports of people getting “Updating Failed” errors when trying to save drafts or publish their WordPress posts using the new “Gutenberg” Block Editor in WordPress 5.0. I had it happen to me before, and now with one of my main sites when it went to 5.0 today. Tip: Not Ready For the Gutenberg Editor? WordPress 5.0 is now officially out, and the Gutenberg editor is the default way to write and edit posts. If you haven’t had the time to learn the new editor yet, you can still update to WordPress 5.0 and have your old editor too. The worst part about using tags sometimes is forgetting to apply them. 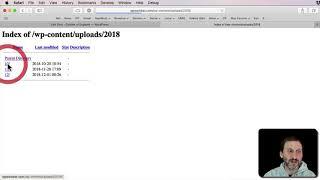 You can fix that problem for some of your most important tags by using a simple hack that looks at the title and content of your post every time you update it. If it finds a word in there, then the tag is automatically added. Any directory on your server could be an open book to someone who wants to poke around. If your default server configuration isn’t already restricting this, you can easily add a line to your .htaccess file to prevent directory listings and make your site a little more secure. Sometimes it can be handy to have a little button on a post where a user can click and the URL for this post is placed in the clipboard. Hey, you want to make it as easy as possible for someone to share your posts, right? 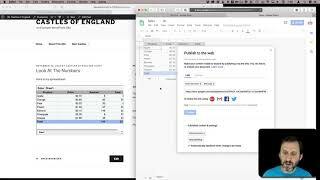 Embedding a spreadsheet into your WordPress site is actually a pretty simple task. All you need to do is to use a Google spreadsheet, then embed that spreadsheet into your post just as you would any other HTML code. It does help if you adjust the width and the height of the embedded IFRAME. The data in the spreadsheet can even be updated without touching the post. A lot of WordPress users don’t know that you can add a PDF download very easily to any post. The hacks at this site are usually accomplished by adding your own custom plugin or editing the functions.php file. But what if you have never done that before and have little or no coding experience? The easiest way to add many hacks is to use the WordPress Dashboard and edit the Theme Functions (functions.php file), simply adding your code to the end. Here is a video tutorial for beginners. I’ve seen hacks posted elsewhere that highlight the keywords on the WordPress search page. This is handy because the user can see where the keywords show up in the title of each result. But I have two problems with most of the hacks I have seen.